15 Rare Air Jordan Samples That Eventually Released! As we've highlighted in our Air Jordan Samples That Never Released series, more designs are scrapped than are actually released. The good news is that Jordan Brand tends to revisit old samples—a trend that's picked up in recent years. According to reports, the next samples to land on shelves will be Kobe Bryant's Air Jordan 3 and Air Jordan 8 PEs, which haven't been seen since Bryant laced them up during the 2002-2003 season. Proof that one should never say never when it comes to Jordan Brand, here's 15 Air Jordan Samples that were once ultra-rare, but then eventually released to the public. While the exact story has never been told, it's been reported that the original black and gold patent Air Jordan 1 was the first ever "friends and family" Air Jordan. Rumored to be limited to a run of less than 20 pairs, the shoe hit the auction block on a few occasions, with prices exceeding $20,000. Making up for the shoddy-looking retro in 2003, Jordan Brand dropped a high-top version with Nike Air branding in 2013, and it turned out to be one of the biggest releases of the year. When Michael Jordan battled his way back from a broken foot in 1986, Nike gave him a transitional version of his debut signature shoe. The Air Jordan 1.5 bridged the gap between models by pairing the Air Jordan 1's upper with the Air Jordan 2's sole. As the story has been told, the original Air Jordan Sky High prototypes were created to test different placements of the Jumpman logo. Though fanfare is a bit on the limited side, the shoe has been getting the retro treatment since 2010. Absent from the original retail release, #23 embroidery returned for the 2007 "Metallic" Air Jordan 5 retro and again when the shoe re-released in 2011. While his name doesn't come up too often anymore, Derek Anderson had some of the best Player Exclusive Jordans. The former NBA guard favored low-tops before low-tops were a thing, including this boldly-blocked Air Jordan 5. Though #45 wasn't featured on the Air Jordan 10 worn by Michael Jordan when he torched the Knicks for 55 points at Madison Square Garden, it did grace a pair of PEs he wore during his return season. To jumpstart the remastered program, Jordan Brand paid homage to the legendary performance with a reissue of the PE version in 2015. In 2010, a full set of "Pantone" Air Jordans were created as a display piece for Jordan's Brand "For the Love of the Game" campaign. Surprisingly, the brand doubled up on holiday Air Jordan 11 releases in 2014 and included the light blue colorway as part of its "Gift of Flight" Pack. While not exactly the same in execution, the "72-10" Air Jordan 11 was based on a sample from the model's first retro run. While they could have won with the simple tweak of the "Space Jam" colorway, Jordan Brand reconstructed the upper with full-grain leather, added a glossy leather overlay, and embossed the Jumpman. A sample with context, the "Concord" Air Jordan 11 Low was Michael Jordan's sneaker of choice for the Chicago Bulls' 1996 NBA championship parade. Fans clamored for a release of the low-top for years, until Jordan Brand made it a reality during the summer of 2014. Sadly, the current generation will probably remember it as Jordan's beer pong shoe. Almost 20 years after being spotted on the feet of Michael Jordan, the red-lined "Bred" Air Jordan 11 Low finally released in 2015. ​Air Jordan 11 Low IE "Referee"
Black-on-black sneakers (that aren't Kanye West or Drake collabs) don't typically generate a lot of buzz. However, the "Referee" Air Jordan 11 Low IE had been on the radar of Jordan fanatics for years. The running story behind the sample was that it was produced for referees to wear in accordance with their uniform policies, but it was actually intended to be the launch colorway in 1996. The younger audience may be more familiar with the Team Red version from 2005, but the "Grey Toe" Air Jordan 13 was first sampled in 1997. A nearly exact replica of the original hit he market in 2014. 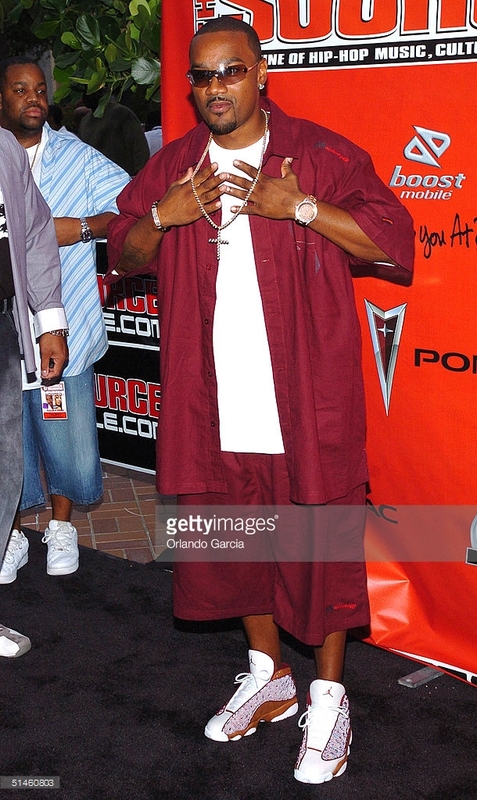 Before the Bin23 release, all anybody knew about the "Desert Clay" sample was that it was debuted by BET's Big Tigger at the 2004 Source Awards. Four seasons removed from Chris Paul's tenure with the New Orleans Hornets, Jordan Brand celebrated his 10th Anniversary as a Jumpman athlete by bringing out his home and away Air Jordan 13 PEs in 2015. Originally spotted in issue 10 of Sole Collector magazine, the "Red Suede" Air Jordan 14 made many sneakerhead's wish lists throughout the late-2000s and early-2010s. Fortunately, it surfaced again in 2014, prepped for retail with a few extra details as a nod to the model's Ferrari inspiration.